The Art Dallas workshop is humming with creativity. 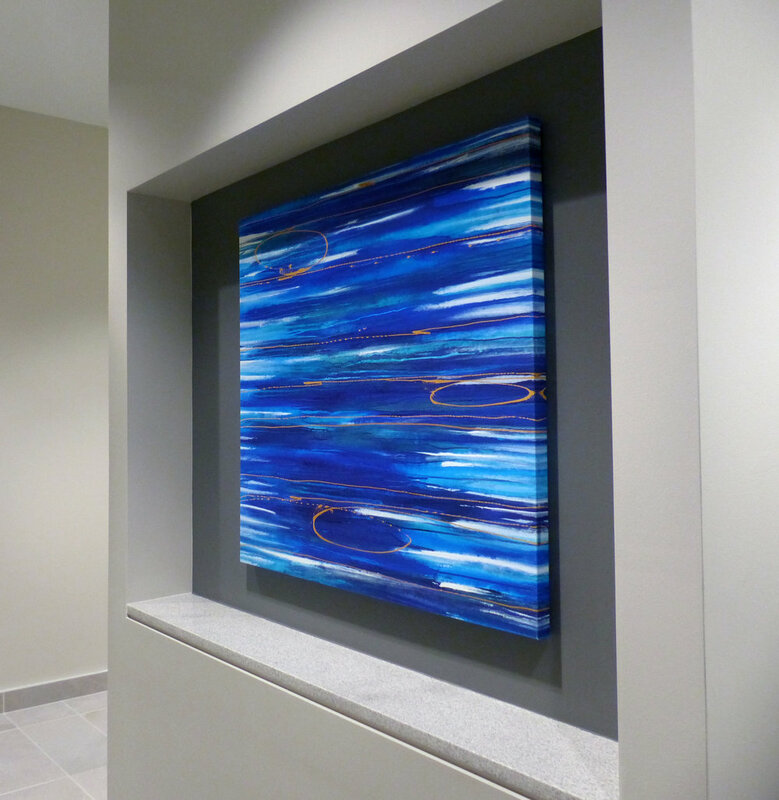 The skilled Art Dallas Creative Team producing custom works is in house. These professionals start each project with a full conceptual write up and then create custom artwork to the detailed preference of the client. 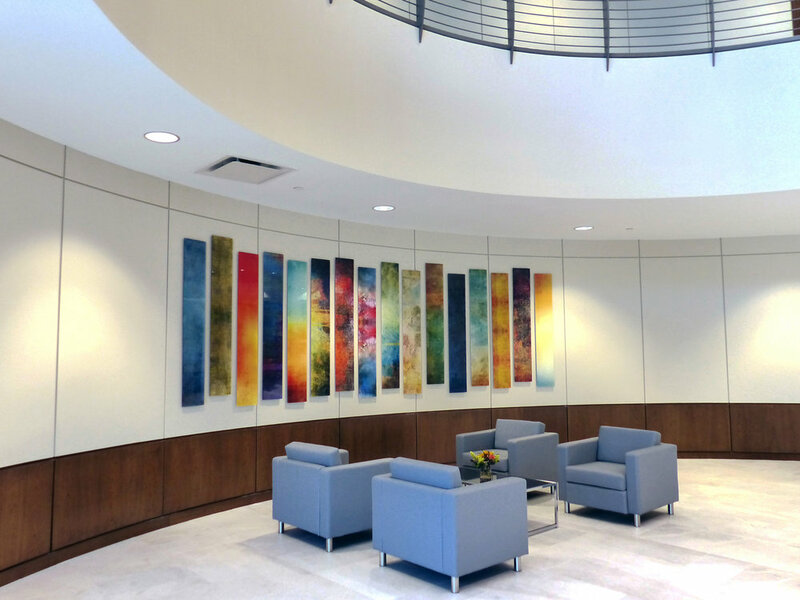 The latest project Art Dallas formulated is artwork created for a Dallas corporate office. 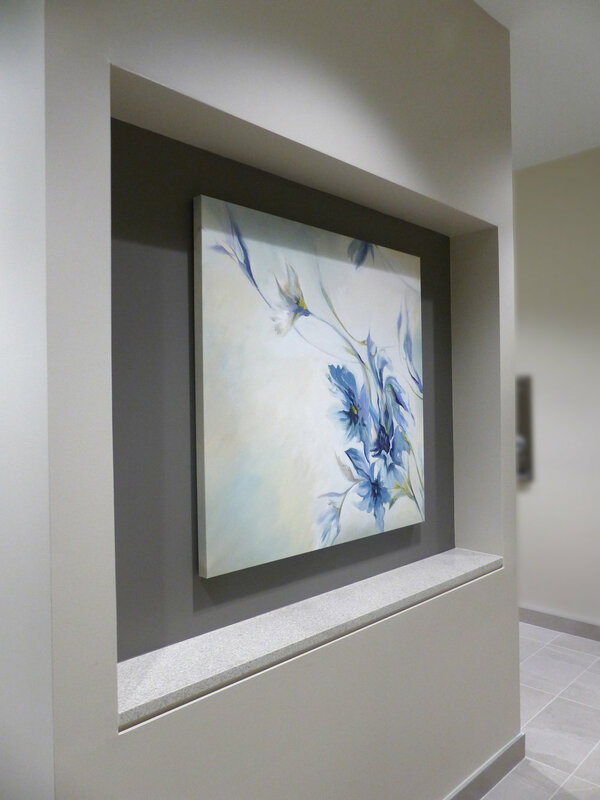 Art Dallas worked closely with this industry leader to complete their space with beautiful artwork. 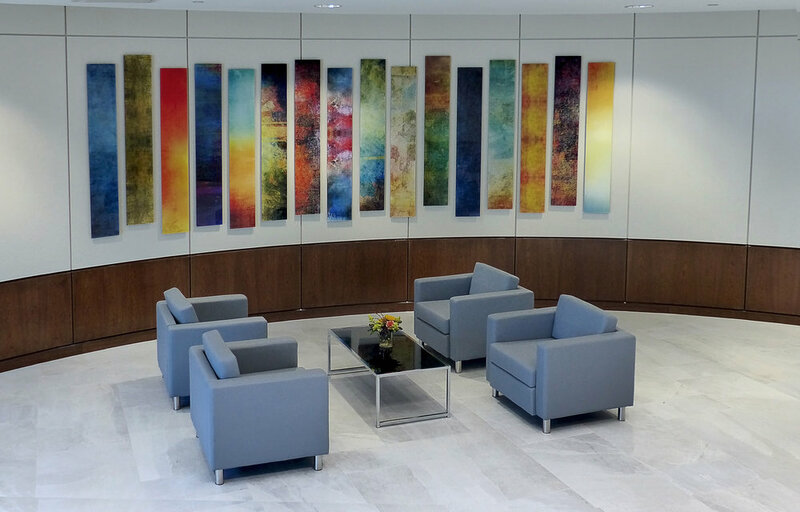 Art Dallas was asked to create an artful lobby space in this corporate setting utilizing our collection of original works on canvas. These works for hand-picked by an Art Dallas Art Consultant and gallery wrapped by hand then hung by the Art Dallas Installation Team DFW Art Installation.